So, last weekend, like many Americans, I ventured into the local mutli-plex and took a gander at Jurassic Park: Fallen Kingdom. There is good news and there is bad news. Bad news first, Fallen Kingdom is probably the worst entry in this franchise since 2001’s highly divisive Jurassic Park III. The good news is that it is still an extremely entertaining monster movie with lots of cool world building and a second act that is very unlike anything else in the Jurassic Park series. 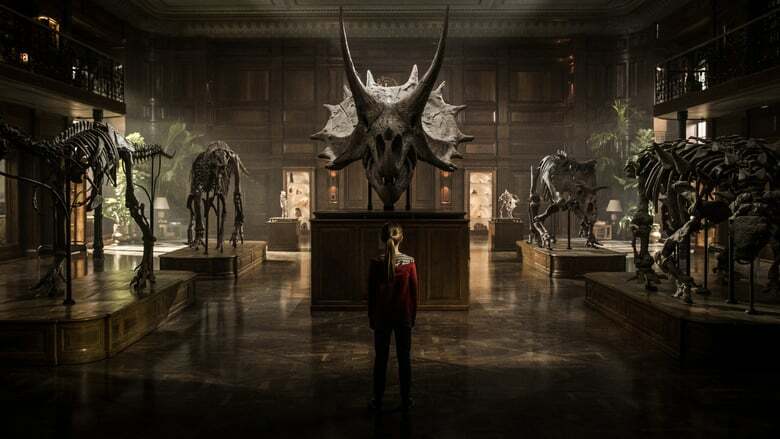 Gone is the veneer of quality that covered the preceding entry, Jurassic World, this movie isn’t interested in being anything other than an expensive “b-movie” that moves a back neck pace. © 2018 Amblin Entertainment − All right reserved. Fallen Kingdom picks up a few years after the most recent dino disaster. A volcanic explosion is looming and it threatens to send our scaly movie stars back to extinction. 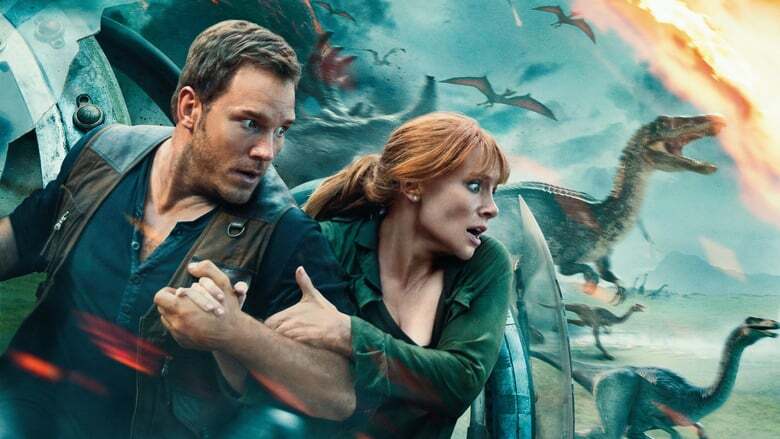 Thankfully for monster fans, Jurassic World’s well-heeled heroine, Claire Dearing(Bryce Dallas Howard) is mounting a rescue operation and she’s roped muscled-up dinosaur whisperer Owen Grady(Chris Pratt) into tagging along. This movie feels almost like two sequels crammed together. The first act plays out as a more “traditional” dinosaur film, with our heroes venturing to once more onto the island, only to be terrorized by the giant creatures, even as the island explodes around them. Of course there is a double cross from the team of mercenaries backing up the rescue effort, led by the wonderfully creepy Ted Levine. It’s this double dealing that takes us to the film’s second act and in my mind, where the movie truly takes off. Fallen Kingdom is directed by J.A. Bayona, who is best known for Spanish spookshow, the Orphanage. 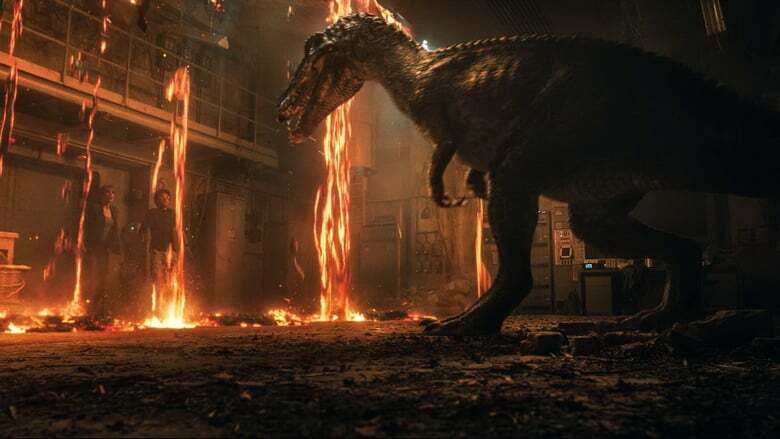 That film’s gothic look and feel is carried over into Fallen Kingdom, which essentially transforms into a haunted house film with dinosaurs instead of ghosts. The film’s gothic trappings, of course play heavy homage to Universal’s studios past glories as the premiere maker of classic monster films. 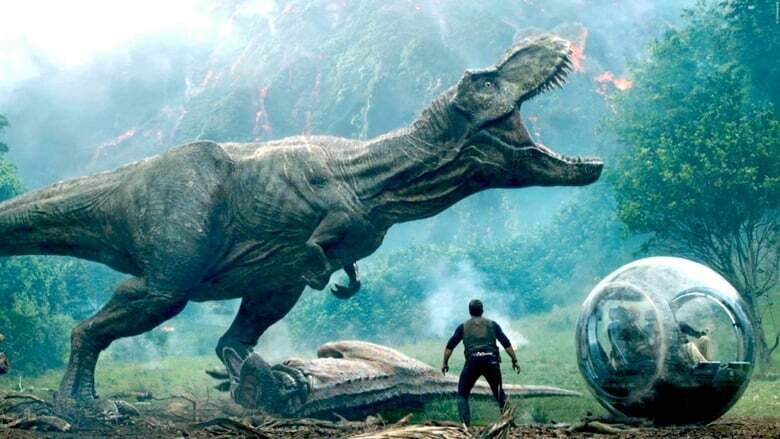 This is made very clear in the design of the film’s mutant dinosaur menace, the Indoraptor, who looks for all the world like Count Dracula reshaped into a prehistoric reptile. In what might be the creepiest scene in the movie, they even play homage to Universal’s 1979 remake of Dracula, with the Indoraptor subbing for Frank Langella’s cloaked Count. While, I suspect moving the the majority of the action from a tropical island to an old dark house, might prove controversial among long time fans. For my money, I felt this change of scenery and tone gave Fallen Kingdom a fresher feel than the previous sequels. Fallen Kingdom’s biggest strength is also it’s weakness. The movie runs at the heart pumping pace of a rabid raptor on speed. While this does create a very tense atmosphere, it doesn’t allow for much character development. The movie is filled with veteran character actors like James Cromwell and Toby Jones, who can make the most of their limited screen time. Still, several characters are left with their story arcs getting trampled in the stampede towards the film’s finish. Most underserved by this, is a human clone named Maisie(Isabella Sermon). In a film series filled with debates over the ethics of genetic engineering, it’s kind of stunning that it’s taken them this long to introduce a human clone, but I found this new character potentially fascinating. Unfortunately, there is hardly enough time spent on this development. Which seems a waste, as I am unsure if they will pick up her story in the next film. Still, ultimately, I don’t go to see these movies for the human drama. I go to watch people get eaten by dinosaurs and boy, do they ever deliver on the prehistoric carnage. The film’s game changing climax opens the world up for potentially apocalyptic sequels to come. While this franchise might be getting long in the tooth, I know I’ll be there for the next if it’s even a third as fun as this one.